It is with heavy hearts that we say goodbye to our father William Gordon Tilley, a humble, kind and generous man who by any standard was blessed with a long and rewarding life. Predeceased by his loving and devoted wife of 65 years Margaret (Reid); parents, John and Clara Tilley; sisters Violet Streeter (Alf), Olive Reid (Peter), Muriel Bersick (Robert); Leaving to mourn three sons, Gary (Glida Dalton), Wayne (Marilyn Shortall), Glen (Annette Clarke); Grandchildren, Russell (Meghan), Brendan, Kristen (Darrell Edwards) Michael (Jill Cumby); Grandchildren, Zoe, Elise, Jack; A large number of nieces and nephews including Sonia May (Arthur deceased), Renata Keats (Jim), Wendell Streeter (Shirley) Diane Paolucci (Tony); Alan Reid (Rita), David Bersick; daughter in law Charlotte Tilley (Jim Wellman); Sister in law Emma Finley (Warner deceased). He was born on Plymouth Road in the east end of St. John’s, the same year World War 1 broke out in Europe. His mother was an accomplished seamstress, the daughter of Sidney Willar, the renowned sail maker. His father was a machinist at Harvey’s Butterine Factory. Dad was the only boy in the family but knew the love of his three sisters. When the family moved to the foot of Spencer Street in 1918, he was only four, how could he have imagined he would live on that street for the next 90 years? He started kindergarten at the old Model School on Parade Street before moving to Holloway then to Bishop Feild College where he graduated in the Class of 1932. Dad remained a proud Feildian throughout his life. After graduation he was the first male and the first non-Catholic to attend the commercial/business program offered by the Presentation Sisters. Upon completion he applied for and was accepted by the Newfoundland Rangers. The day before he was to leave by train for training in Whitbourne, he received a call and an offer from the Newfoundland Railway. He chose the railway. So began a remarkable 44-year career. He started out as a clerk stenographer and soon became the Assistant Marine Superintendent. 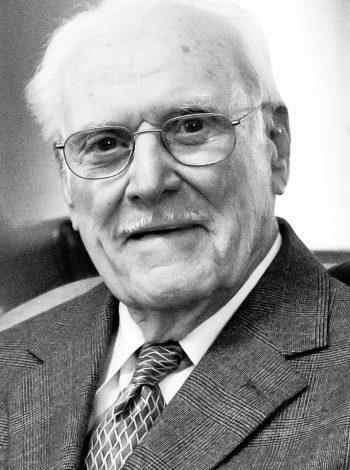 When the province joined Confederation in 1949 he was promoted through many management positions with Canadian National Railway and CN Marine, ultimately becoming CN’s senior financial advisor before retiring in 1977. One of many career highlights: he was instrumental in forming and serving as long time president of the Railway Employees Welfare Association, an association committed to the wellbeing of Railway Employees. But it was his involvement with his beloved Church Lads Brigade that brought him his greatest joy and, to some degree, his public recognition. He joined the CLB in 1925, as an 11 year old, first as a member of F Company, and then transferred to C Company at Bishop Feild and eventually to the newly formed Naval Company in 1933. In 1939, at the age of 25, he applied for and was given the position of Drum Major with the CLB Avalon Battalion Band (later Regimental Band), a role he would serve with distinction and a certain pardonable pride for an astounding 63 years. Generations would recall the tall athletic figure in the scarlet red tunic and great Black Watch hat, or busby, stoically swinging the “pace stick” as he led practically every major parade and participated in every major civic event and ceremony in this province. Still fit and hale at 88 years of age he relinquished his Drum Major’s position in 2002 – “before I become an old man” he would joke – and was given the rank of Major in the brigade. In 1977 he single handedly began work to build the CLB archive in the old armory on Harvey Road. It became his passion, a labour of love in which he dedicated himself to recording and chronicling the rich and storied history of the organization in Newfoundland. By December 1992 the archive was the centerpiece of the CLB’s 100th anniversary celebrations. Artifacts, records, photos and memorabilia had been collected and assembled from all over the province representing every community where the brigade was established. Tragically, later that month, and within days of the anniversary, Dad had to witness the inferno which destroyed the armory and all its contents in that great Harvey Road fire. With his heart still sore, he arose the next morning determined to rebuild the archive/museum that now bears his name. It became his second home, “his den” as our mother lovingly called it, where he worked three days a week well into his 102nd year. Dad received many awards and accolades for his contributions to the community at large including, the Key to the City of St. John’s, Newfoundland and Labrador Senior of Distinction, St. John’s Senior Citizen of The Year, and the two he was most proud of: his 90 year gold medal, long service award, from the CLB (he was the longest serving member in the world), and his Honorary Doctorate of Canon Law (Honoris Causa) bestowed upon him by Queens College in 2016. Dad was a quiet inspiration to his family, friends and colleagues. He brought the same dedication to his family as he did to public service. A devoted husband and father, he always put the needs of others first. We were blessed to have grown up in a home where the ideals of love and respect were cherished. And he was blessed, blessed to have met and chosen our mother to be his wife and best friend. He lived a remarkable life. We will miss him dearly. The community may never see his like again. We’d like to acknowledge the caring and professional staff at The Glenbrook Lodge and his personal physician Dr. Mary Watson. 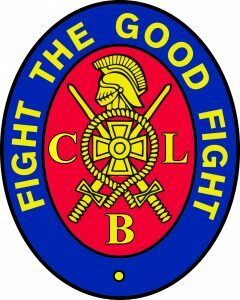 To his CLB comrades, past and present, we salute you all for enriching our father’s life. Fight The Good Fight. Visitation at Carnell’s Funeral Home, Monday, December 18 and Tuesday December 19th; 2-4 and 7-9. Funeral service at the Anglican Cathedral of St. John the Baptist, Wednesday, December 20th at 2.pm. Interment to follow at the Anglican Cemetery Forest Road. 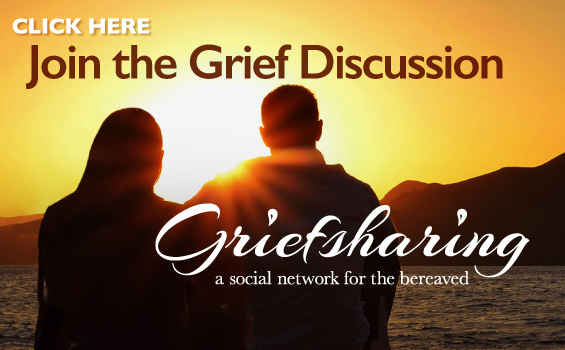 In lieu of flowers, donations can be made to the CLB or a charity of one’s choice. Wayne, Glen and family, such a remarkable man,, and such a remarkable life. A pure and true gentleman. My sincere condolences on the passing if your precious Dad. It’s never easy, no matter the age. You Have Fought the Good Fight Very Well! Wayne, Glen, Gary and Families, it has been a great pleasure to have known Bill who never forgot the names of our two boys, Hugh and Richard from their time in the CLB. band and often inquired after them when we met. Our thoughts and prayers are with you at this time. Doreen Facey, Michael and Anthea Donnan. by Michael and Anthea Donnan. When I joined the CLB as a JTC lad, Major Tilley was a true father figure and a real inspiration to a young impressionable boy. As I progress into Officer ranks., he became a wonderful friend, mentor, and go to person for CLB info and records. I will always remember him as a perfect gentlemen and a very humble man who always had time for a chat and a yarn. Rest in Peace thy Loyal and Faithful Servant. Deepest condolences to Wayne, Gary, and Glen and all family members. To Glen,Wayne and Family, my sincere sympathies on the death of your Father! May you find comfort in memories of happy times spent with him. Thinking of you all at this time! Sincere condolences to Gary, Glen, Wayne and all the family members. Fond memories of your dad leading the CLB Band. I was very saddened to hear of Bill’s passing. I remember Bill as a true gentleman whose kindness and dignity had a positive influence on all those that met him. I can still picture him ahead of me leading the parade and wielding his mace. I believe I can also assure similar feelings of respect and admiration on behalf of my grandfather, and fellow bandsman, Lt. William Osmond. Bill’s positive influence touched more people than we could ever count. My condolences to his family and friends. TO Wayne, Marilyn and Tilly Family. We are so sorry to hear about the passing of your father. the loss of a love one at any age is heart breaking. Take care in the days to come. We are sorry to hear of the passing of your loved one William. On behalf of our Marine Atlantic Pensioners Association please be assured of our prayers for your families at this time. William was a great help to our pensioners concerning the REWA Insurance plan. Gods Blessing for you all as you lay your loved one to rest. To Wayne and Marilyn and the Tilley family, I am so sorry for your loss. Please take care. Sorry to hear the news about your father. We remember well the good times at Three Island Pond. 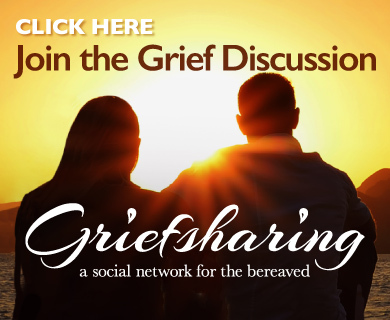 May you have comfort in knowing that you have family and friends who share your sorrow. Wayne and Tilley families. Rose Marie and I send you our condolenses from Arizona on the passing of your Dad. We met back in the 60ies at your Spencer home during a weekend gathering back in the good old days. What a wonderful and fulfilling life he lead. A mildstone to be sure bestowed upon a humble human being. May he R.I.P. for a job well done. With love always. Will that typo haunt us forever? Oh Glen, all manner of love and hugs being sent to you from all of us on Flavin Street. So sorry to hear of your father’s passing. He had a long, productive, and eventful life. We send our condolences to you and all family. Major Tilley indeed did Fight The Good Fight. May your souls soar to highs beyond measure. Respectfully remembered as an amazing human being. Gary, Wayne, Glen and Families. So very sorry to hear the news of your Dad’s passing. I had the extreme pleasure of meeting him when I needed to view the CLB Archives, which he graciously agreed to do personally. On my drive from his place to the CLB we chatted about family and I finally put 2 and 2 together, as did he, that you three were “his” three! Mom, Dad, and Grandfather likely knew, but not me that CLB Bill Tilley was you Dad. What a legacy he leaves. We are away and unable to visit in person, but please know my thoughts are with you all, and Tom sends his sincere condolences as well. As a young boy growing up in Hr Grace in the 50`s well I remember Bill Tilley in full regalia leading the CLB boys from their camp in Bears Cove to a service at St Pauls Church . For many years thereafter Bill would be the lead man in all the parades involving the CLB Band and Brigade . I got to know him in his later years and can say -without any doubt – he was a “ man for all seasons “ . God gave him a long and productive life in which he accomplished much and made a difference to many . May his eternal rest be in peace . Sincere condolences to the multitude of his friends and family . Deepest sympathy to the family of Mr. Tilley. I lived on Freshwater Rd and Topsail Pond. I was also a Feildian and your father knew me as a small boy. In 1955 one month before my 16th birthday your father hired me to be a steward on the SS Kyle. I also worked on the SS Northern Ranger, SS Glencoe, and SS Baccalieu. By age 17 I had been in almost every port around Newfoundland thanks to your father. I live in Georgia now and I’m sorry I will not be able to make it to his funeral. Your father had a wonderful healthy life and I talked with him often. My sincere condolences. Glen, Wayne and Gary. I remember meeting your father when I was visiting Glen at Spencer Street during the mid-60s. It’s wonderful that was merely the mid-point of his remarkable life. Please accept my condolences. Glen, Wayne and Gary, My sincerest, heart felt condolences. I will always cherish the memories of time spent with your Mom & Dad on Spencer Street. Deepest sympathy to the Tilley family on the passing of your Dad. Willie Tilley was and always will be THE CHURCH LADS BRIGADE. May his gentle soul rest in the loving arms of our Lord. Condolences to the Tilley family. Mr. Tilley was a wonderful man and has done so much for the CLB over the years. May he rest peacefully. Yout father lived a long and purposeful life. His presence made the world such a better place. We send our sincere sympathies to his family. So sorry for your loss. Mr. Tilley was such a sweet nice man. My thoughts are with your family at this time. We wish to extend our condolences on the passing of Major William Tilley, a true gentleman and an inspiration to the members of the CLB. We are sorry we are not able to be there in person to pay our respects to his family and indeed to all the CLB family. My condolences to the family of Mr. Tilley. He will always be remembered as a legend and most recognizable face of the clb. I’m a former clb member and remember in grade eight (about 14 years ago) doing a heritage fair project on the fire at the clb armoury. I was pointed in the direction of Mr. Tilley to seek this information and for sure this was the right direction. Not only did he provide me with books and other resources for my project but also spent an hour on the phone telling me his own stories and answering all the questions I had. A true legend and will never be forgotten by anyone affiliated with the clb. Thoughts and prayers with his family and friends.